get your green on. as you likely already know, kale is one of the most nutritious leafy greens you can consume. its chockfull of vitamins and nutrients. need calcium? eat kale. 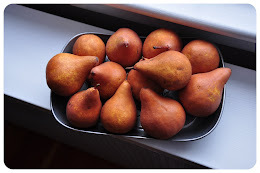 it also comes along with a hefty does of betacarotene as well as fiber! superfood it is, and super tasty too. recently, i've been sporting savory breakfasts. instead of eating lots of carbs, i'm loading up on protein and greens. my favorite is organic eggs, local organic chicken sausage and a bed of simple-steamed kale. i recommend over-easy eggs so that the yolk creates a warm, runny dressing. it perfectly coats the kale and then i top it all off with kosher salt and fresh cracked pepper. i can't tell you how energized i feel in the morning versus eating an 'energy bar' or gluten free - sugar packed cereal. i dare you to try it. sure, it takes a few more minutes in the morning, but heck - you're worth it! better yet - skip the chicken sausage and use that leftover salmon. THERE IS NOTHING BETTER THAN LEFTOVER SALMON FOR BREAKFAST!!!!!!! before i get into the recipe - check out my extra-super-duper-neato giveaway this week. 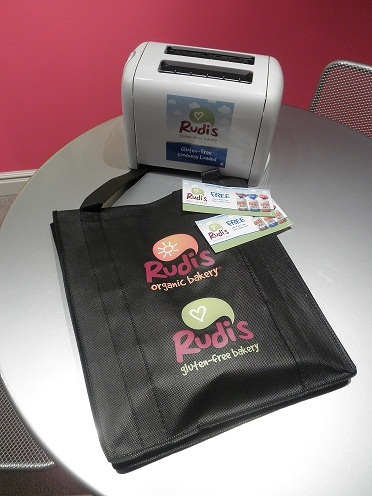 rudi's gluten free has contributed a goody bag with 2 free gluten free loaf coupons, a reusable rudi's tote AND a cute rudi's gluten free toaster! to enter the contest please leave a comment (along with you email address) telling me about your favorite superfood. combine candied ginger, balsamic vinegar, olive oil and sesame oil in a large bowl. whisk together. throw chopped kale into bowl and toss to coat kale with the dressing. season with salt and pepper, then toss in chopped almonds. best part about this dish is that it holds up well in the fridge - leave it in there a day or two - the kale can withstand the cold, and won't get mushy or wilty like most lettuces. I love Acai Bowls. Yum! love kale soup. love kale sauted with onion and mushrooms. Going to have to try the ginger dressing w/it. I love Quinoa, specifically Red, and I cook it with fat-free, low-sodium chicken broth and a bay leaf, then add oregano, basil and sea salt when it's done. I usually pan-cook shrimp in olive oil and fresh-crushed garlic, with veggies, and lay that on top. Maybe add some black beans, too. My 15 yr old son is actually loving our new way of eating : ) He's thin and I'm overweight, so it works out either way! I am having a blast learning everything I can about healthier eating! Blueberries, broccoli and spinach are staples in our house, but I'm hoping to add kale to that mix soon. This recipe might be the way I do it. Yum! I love kale and this salad sounds delicious! I can't wait to give it a try. Thanks for linking it up this week at Allergy-Free Wednesdays. Hope to see you back again this coming week. I eat CHIA SEEDS every day...usually in yogurt with frozen wild boreal blueberries, walnuts, brazil nuts, cinnamon and stevia. They are probably the very best source of Omega-3's for vegans, although I am a meat eater and adore your idea of salmon for breakfast. Yes, I love all superfoods, and thanks for reminding me to eat more kale. I think kale chips are one of the coolest healthy snack foods. My favorite superfood is coffee! Coffee has more antioxidants than blueberries! And kale is the greatest. Love it cooked in soups, raw (lacinato kale chopped finely in the food processor, with a sesame dressing and some toasted sesame seeds), and baked into chips -- it's all so good. I love kale and can't wait to try this new way of making it! Hi! I just made the Kale salad and it's delicious. Thank you so much for the easy, tasty recipe.